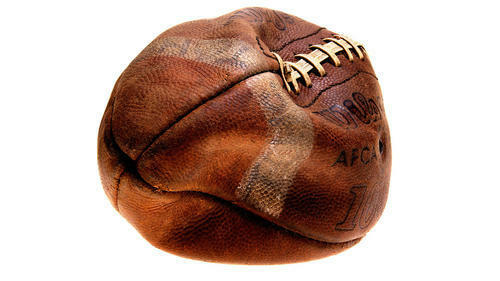 Just in time for the Super Bowl, the NFL, an organization that’s seen enough scandal this year to last it a lifetime, is now investigating accusations that the New England Patriots may have cheated and used deflated balls in his routing of the Indianapolis Colts on Sunday. The “scandal” (if you want to call it that) is being referred to as Deflate-Gate and is getting all types of meme and commentary action on social media. While I think it’s all hilarious and probably won’t rise to the level of the unforgettable Spygate, it did make me think about ethics and honesty in sports in general. Unfortunately, the will to win and the thirst for glory often overshadow themes of fairness and honesty; and athletes get caught up in scandals that tarnish their names and their sports. While it’s easy to associate sports cheating with the big names like Pete Rose, Lance Armstrong and Ben Johnson, cheating in sports has never been limited to male athletes. So in honor of Deflate-Gate, let’s take a trip down memory lane and discover/remember some cheating scandals in women’s sports. In 1991 American Tonya Harding was one of the best figure skaters in the world. In that year she won the US Figure Skating Championships, placed second in the World Championships, and became the first American women to complete a triple axel jump in competition. Unfortunately for her, Harding would peak in 1991 and by the time the 1994 US Championships and Winter Olympic games rolled around, the struggle was real. It was so real in fact that Harding, her husband (Jeff Gillooly) and her bodyguard (Shawn Eckhardt) were willing to do whatever it took give her a competitive edge. On January 6, 1994, under orders from Gillooly and Eckhardt, Shane Stant attacked Harding’s competitor, Nancy Kerrigan. Stant was hired to break Kerrigan’s leg but thankful the force from the baton (that struck Kerrigan above her knee) only bruised her. Kerrigan was forced to withdraw from the 1994 US Championship and Harding took the title. 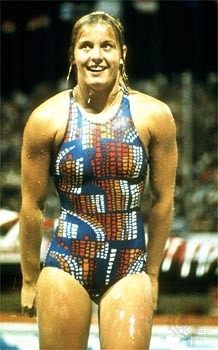 After recovering, Kerrigan placed second in the 1994 Olympics and Harding finished eighth. Following the Olympics, authorities uncovered Harding’s involvement with the attack, stripped her of her 1994 title and banned her for life from participating in US Figure Skating Association-run events as either a skater or a coach. Harding also plead guilty to conspiring to obstruct the prosecution of the attackers for which she received three years of probation, 500 hours of community service and a $160,000. Though she has tried to revamp her image, Harding will go down in history books as a sore loser and a cheat. The next cheater on the list comes from the world of running. 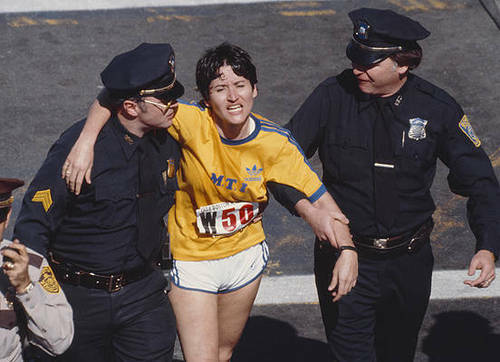 Cuban American Rosie Ruiz took cheating to new heights, not by false starting, but by not running the whole race. In 1979, Ruiz registered for the New York Marathon (NYM) where she “finished” eleventh with a time of 2:56:29. The next April, she competed in the Boston Marathon (BM) where, remarkably, she not only won it, but won it in a world record time of 2:31:56. Her celebrations were short-lived when it was revealed that Ruiz hadn’t completed either of the races. At the end of the BM, spectators, the media, and fellow competitors began to point out some major inconsistencies in her story. Ruiz couldn’t recall her intervals or splits (something runners hardly ever forget), she wasn’t panting or drenched in sweat after the race, and her physique was noticeably fattier than the typical marathon runner’s. Most compelling was the fact that two Harvard students recalled seeing Ruiz jump from the crowd a half of a mile from the finish-line. Wow….just wow. As many began to question Ruiz’s BM performance, a New York reporter revealed that she had ridden the subway with Ruiz during the NYM, walked with her to the finish line and watched Ruiz report herself as an injured runner who had finished the race. After reviewing the mounting evidence and footage of both races authorities disqualified Ruiz and properly crowned the respective BM winners. As a result of Ruiz’ antics marathon authorities now use cheating safeguards like video surveillance and electronic monitoring of players. Another runner by the name of Marion Jones also makes this list, but (unlike Ruiz) Jones finished all of her races, she just had a little help getting through them. No one would ever deny that Jones was a great athlete; she was a world-class runner and professional basketball player. But ever since high school when she failed to appear for a mandatory drug test, rumors of doping followed Jones around. The rumors were quiet enough that they did not stop her from competing, and through the mid and late 1990s Jones developed into a top sprinter; winning national and international competitions. In 2000, Jones peaked when she won three gold medals (100m, 200m, 4x400m) in the Sydney Olympics. Jones’ accomplishment would soon be marred with more rumors of doping when her then husband C.J. Hunter tested positive for illegal substances and was suspended from competition. 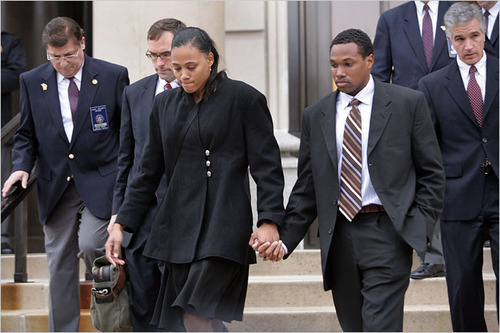 Jones continued to compete and to deny that she took any performance enhancers, but she became less and less convincing when Tim Montgomery (the father of her first child) and Trevor Graham (her former trainer) were both implicated in the BALCO doping scandal that brought at least twenty world-class athletes under severe scrutiny. Finally, in 2007 Jones admitted to a federal judge and the public that she had repeatedly lied to federal investigators about her use of performance enhancers and that she had used performance enhancers before, during and after her 2000 Olympic performances. Jones would serve six months in federal prison for perjury, be stripped of her Olympics medals, and permanently retire from the sport. Although she tried to make a comeback in the WNBA, Jones’ admissions pretty much solidified the end of her professional career. While the other scandals I’ve mentioned involve or one athlete, this one involved an entire country. From 1964 to 1988 East Germany involved itself in state-sponsored doping. Officials gave teenage and adult athletes steroids without their knowledge, telling athletes and their families that pills and shots were healthy dietary supplements needed to reach maximum performance. In actuality the dangerous steroids caused athletes to suffer from deepened voices, facial hair, small breasts, sterility and other health conditions later in life. The secret doping program, run by Stasi, involved an estimated 10,000 athletes from all sports and lasted for decades. One of the most controversial performances from East Germany’s female athletes came from the women’s swim team in the 1976 Olympics. In the 1972 games East Germans won no gold, 4 silver and 1 bronze medal. In Montreal in 1976 they won 18 medals (11 of which were gold), set 8 world and 3 Olympic records, and finished first and second in 5 events. Dominate doesn’t even begin to explain what those women did. While the world clamored and questioned the legitimacy of their feat, no definitive evidence was available until after the fall of the Berlin Wall when Stasi’s files were discovered and released. To this day, the East German medals from that Olympics still stand. While these women and their cheating ways were all eventually brought to light, the urge to win will always exist and will for some overpower the will to do things the right way. So I guess we should be on the lookout for the next great cheating scandal.